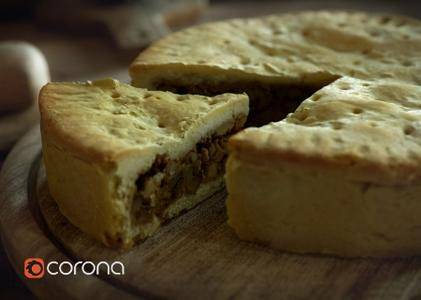 With great pleasure, Render Legion announce the release of Corona Renderer 1.7.4 for Autodesk 3ds Max. In this release focus on massive rendering speedups, accelerating your workflow, and making your 3D people look amazingly realistic. About Corona Renderer. With the growing demand 3D rendering and visualization, there has been an influx of software development targeted at pulling the masses away from household rendering engines such as VRAY and Maxwell. Corona Renderer is one of the underdogs - a feisty and capable piece of rendering software that offers just as much under the hood as the titans of the industry, but leaves the hefty price of admission at the door. Whether you are producing photo-realistic images or concept animations, Corona Renderer is the perfect alternative for artists, architecture firms, and design offices to incorporate into their everyday workflow. Perhaps Corona’s most attractive feature is Interactive Rendering. This allows the artist or user to change settings on the fly, viewing in real-time how the modifications affect the rendered image. In fact, you can do all this while the image is rendering. Lighting, materiality, even model geometry can be adjusted as the scene is being rendered in the background, allowing unprecedented flexibility for artists who rely on the ability to continue to tweak the image after they press ‘render.’ Few renderers on the market allow this level of interactivity. Typically, once you cross that line, you’re only saving grace to change the work is in post-production. Interactive Rendering takes a lot of the guesswork out of visualization. Corona also hangs its hat on being the most user-friendly rendering software on the market. It claims artists “will learn Corona in just one day, and fall in love with it over the next few.” It is a bold assertion, but one reflected by how rapidly the popularity of Corona as spreading. The interface removes the layers of technical mastery most rendering software requires you to learn before being able to confidently use it for professional work. Corona takes a much more natural approach to teaching new users the basics while still allowing plenty of room to perfect. About Render Legion s.r.o. The development of Corona Renderer started back in 2009 as a solo student project of Ondrej Karlik at Czech Technical University in Prague. Corona has since evolved to a full-time commercial project, after Ondrej established a company together with the former CG artist Adam Hotovy, and Jaroslav Krivanek, associate professor and researcher at Charles University in Prague. Render Legion s.r.o. are developers of the Corona Render engine. Commercially available since 2014, Corona Renderer is fully integrated into 3ds Max, with integrated Cinema 4D and SketchUp (Ay Caramba) versions in development.